Microsoft OneNote Recipe Clipping – A Sign of Things to Come? 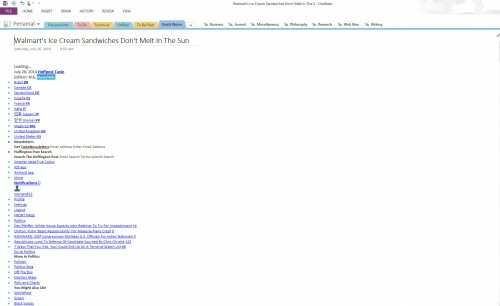 You are here: Home / General / Microsoft OneNote Recipe Clipping – A Sign of Things to Come? 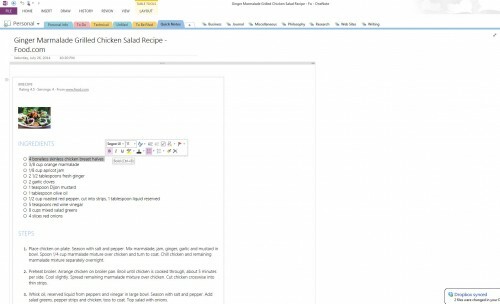 Microsoft’s OneNote team recently blogged about clipping recipes with the OneNote Web clipper. 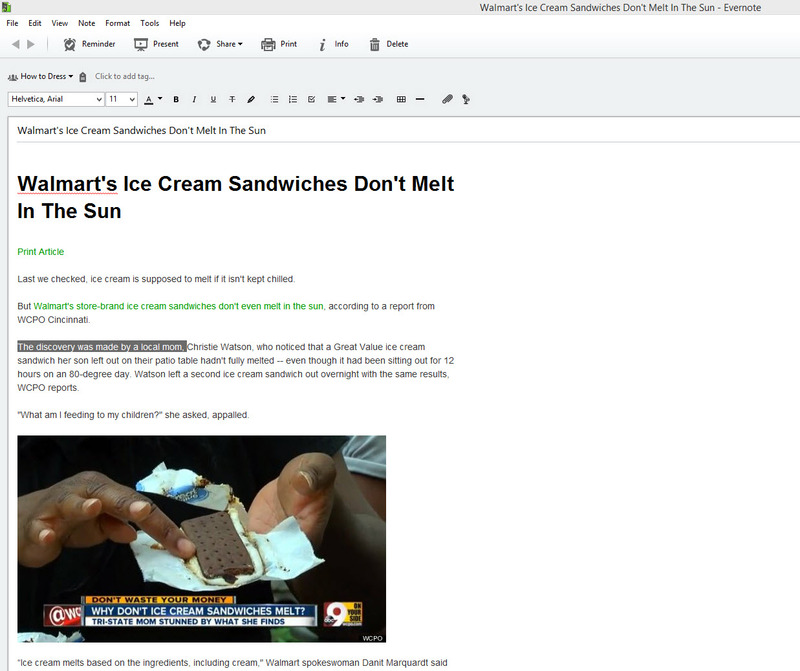 In a nutshell, the Web clipper uses the Bing backend to intelligently clip and format recipes from popular sites like the Food Network and Food.com, and it does a fine job. 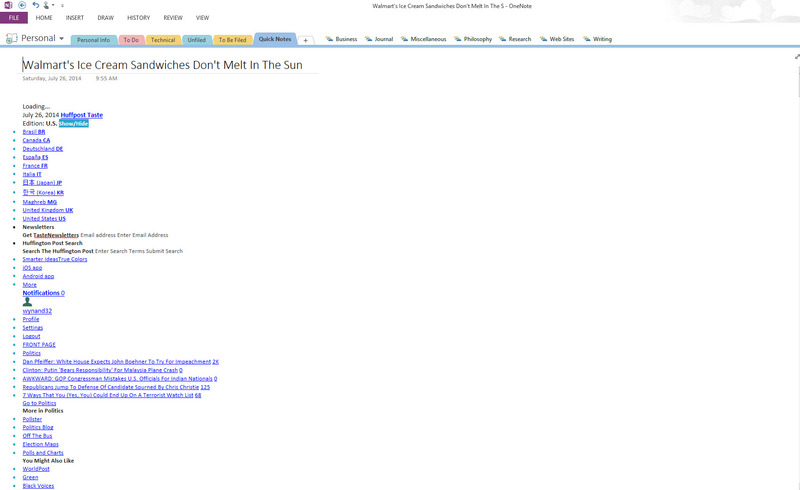 Note that this is the Web clipper that’s installed to the Favorites Bar, not the “Send to OneNote” tool that installs as an add-on with OneNote 2013. 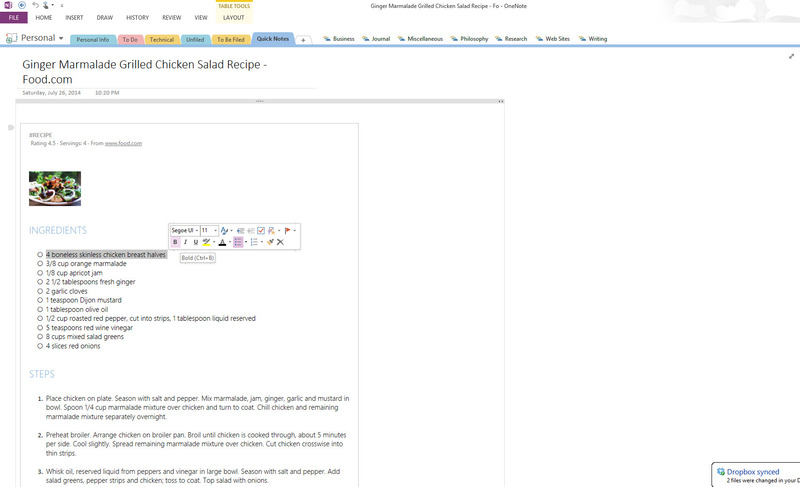 A recipe clipped via the OneNote Web clipper. Note that the text is nicely formatted and can be copied and formatted. 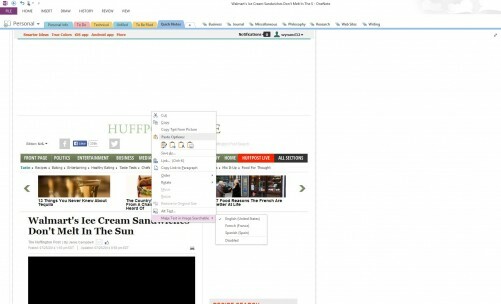 This is nice if you’re a foodie or just generally clip recipes from the Web. In general, though, it demonstrates the potential intelligence afforded by Microsoft Bing. One can imagine any number of applications where this kind of intelligence would come in handy, including simply clipping news articles and cutting out the junk that the standard clipper keeps in. Unfortunately, at this point it’s all just potential. For content other than recipes clipped from specific sites, the Web clipper currently creates images of clipped Web pages as far as I can tell. Given OneNote’s ability to recognize the text in images and index it, these images are likely searchable. They cannot, however, be copied or formatted, which is less than ideal for any researcher who often needs to copy text for quoting and in general compile research for articles. Article clipped via the OneNote Web clipper. Notice how this is an image and text cannot be readily copied or formatted. Article clipped via Send to OneNote clipper. Notice how all of the HTML elements are displayed. Although it’s text that can be copied and formatted, it’s generally quite messy. Hopefully Microsoft will expand the Web clipper’s capabilities soon. At this point, OneNote’s Web clipping capabilities still lag behind those of the Evernote Chrome Web clipper, which is by far the best in the business in my experience. I do prefer OneNote for a number of reasons, not the least of which is its inking capabilities as supported by the Surface Pro 3, but I do miss Evernote’s excellent Web clipper. Article clipped via the Evernote Web Clipper in Simplified Article mode. Notice how clean the clipping is, and how the text can be copied and formatted.